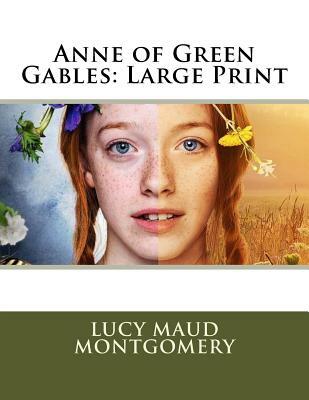 Anne of Green Gables: Large Print by Lucy Maud Montgomery Marilla Cuthbert and Matthew Cuthbert, middle-aged siblings who live together at Green Gables, a farm in Avonlea, on Prince Edward Island, decide to adopt a boy from an orphan asylum in Nova Scotia as a helper on their farm. Through a series of mishaps, the person who ends up under their roof is a precocious girl of eleven named Anne Shirley. Anne is bright and quick, eager to please but dissatisfied with her name, her pale countenance dotted with freckles, and with her long braids of red hair. Being a child of imagination, however, Anne takes much joy in life, and adapts quickly, thriving in the environment of Prince Edward Island.